« Why a fast and furious primary PCI often end up as futile PCI ? How is it possible for both short and long QT syndrome to trigger VT ? What is short QT interval ? It is a range . Any thing less than 380 ms can be considered short.Generally It becomes important only at < 320ms. 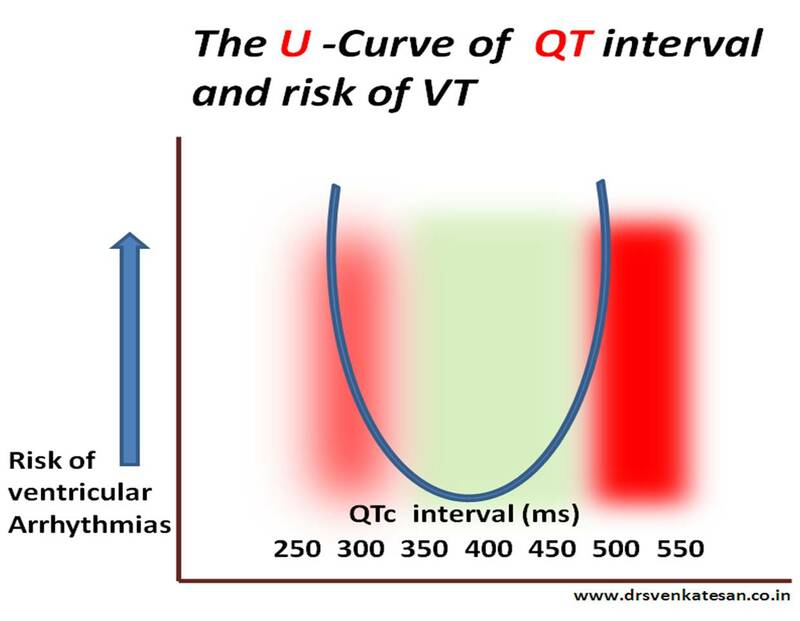 Relationship between QTc and risk of VT .